This eight-piece kit is the best way to start customizing your H2. 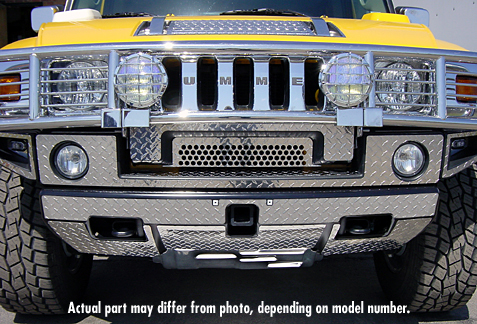 Cover the bumper with mirror finish or diamond-plate depending on the use of your vehicle, or your personal style. The slotted kit includes style-enhancing, laser-cut slots that compliment the H2’s design features.